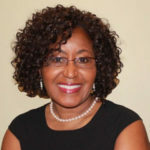 Deborah A. Abbott, PhD, is a professional genealogist, specializing in African American research, manuscript collections and genealogy methodology. She is a Trustee on the Board of the Ohio Genealogical Society (OGS) and an FGS Board of Directors member. 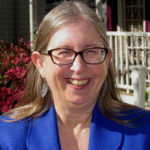 Jan is chair of the IAJGS PRAMC, represents IAJGS on RPAC, and is president of the Jewish Genealogical Society of Conejo Valley and Ventura County, California. 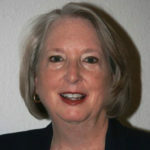 Janet A. Alpert, FNGS, is chair of RPAC, an NGS board member, and previous president of NGS. Leslie Anderson, a reference librarian at Alexandria Library, Local History/Special Collections Branch, won the 2013 NGS Family History Writing Contest. Her publications include Alexandria and Virginia Slave Births Index, 1853-1865. She contributes to genealogical publications and lectures at conferences. Gordon Atkinson, Senior Director at Fold3 and Newspapers.com, enjoys making historical documents more accessible via the Internet. 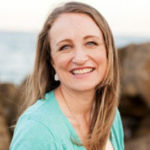 Karen Auman is Assistant Professor of History at Brigham Young University, where she teaches in the family history bachelor’s degree program. Her historical research is on Germans in colonial America and in the US South. Char McCargo Bah, author of Alexandria’s Freedmen’s Cemetery: A Legacy of Freedom, freelance writer for the Alexandria Gazette Packet Newspaper, former City of Alexandria, Virginia’s Genealogist from 2008-2014, 2014 Alexandria, Virginia’s Living Legend, and former Virginia Genealogical Society Board Member. 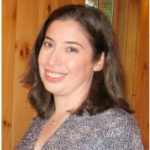 Jen Baldwin writes, lectures, and consults on a variety of genealogy topics. 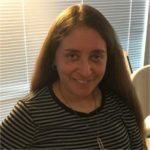 She is the Data Acquisition Manager, North America for Findmypast, and serves on the Board of Directors for the Federation of Genealogical Societies (FGS). 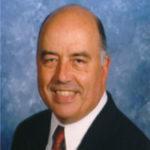 James M. Beidler is the author of several commercially published books; writes the “Roots & Branches” weekly genealogy column/blog; is a columnist for German Life magazine; and is research-reports editor for Legacy Tree Genealogists, a leading paid research genealogy firm. 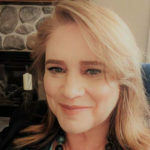 Author, genealogist, nationally recognized guest speaker, storyteller, and producer-host of Research at the National Archives and Beyond Blogtalkradio program, Bernice is the first recipient of the Sons and Daughters of the US Middle Passages Ida B. Wells Service Award for dedication to broadcast stories about enslaved and indentured ancestors of African descent. Jim Brewster is the Assistant Manager for the Group Projects Team at Family Tree DNA and specializes in DNA results analysis. Author of Black Roots & guest expert on PBS, BBC, the Discovery Channel, the History Channel, and Who Do You Think You Are? Angie Bush is the Region 1 Director for NGS and heads its Genetic Genealogy Committee. She specializes in using genetic evidence to answer questions of kinship and identity. Shannon Christmas is a 23andMe Ancestry Ambassador; an administrator of The Captain Thomas Graves of Jamestown, Hemings-Jefferson-Wayles-Eppes, and Macon autosomal DNA projects; and a genetic genealogy instructor at The Midwest African American Genealogy Institute. 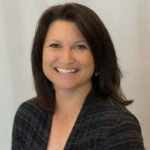 Janine Cloud found her niche with FamilyTreeDNA in 2011, where she built and manages the Group Projects team. Also an administrator for the Cloud DNA Project, Janine is a fifth-generation Texan and a registered member of the Cherokee Nation. Shannon Combs-Bennett is an award-winning author, lecturer, and researcher based out of Northern Virginia. She speaks and writes on a variety of topics from methodology to genetics. Employed at Ancestry.com since 2004, Crista’s involvement in family history, however, reaches back to childhood. 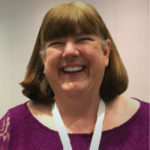 A popular teacher at genealogy events around the world, she’s known as The Barefoot Genealogist and has 300+ videos available on the Ancestry YouTube channel. 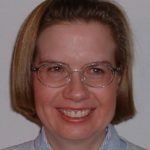 Luana M. Darby, MLIS, AG, owner of Lineages by Luana, is a professional genealogist and consultant, specializing in Palatine German research. 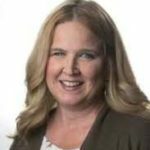 She worked as an in-house genealogist for BYU-TV’s series Relative Race in seasons 3 & 4 and is the chair of the NGS 2020 conference in Salt Lake City, Utah. Jennifer Davis, Director of Development and Membership at the New York Genealogical and Biographical Society. 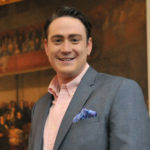 Jonathan Webb Deiss sits on the Board of Directors of Reclaim the Records, is currently a Staff Genealogist for The National Society Colonial Dames XVII Century, and was NARA’s first Citizen-Archivist. He is also an independent researcher. 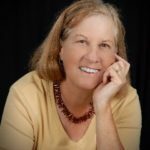 Catherine B. W. Desmarais, CG, is a Board-certified genealogist, author, educator, and the owner of Stone House Historical Research. She is a past Vice-President of the Association of Professional Genealogists and frequent lecturer at national genealogical institutes. 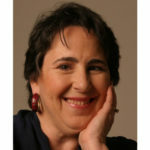 Experienced Jewish/Eastern European genealogist who is passionate about dispelling the rumor that “everything was destroyed.” She blogs about her personal finds and available resources at http://larasgenealogy.blogspot.com. 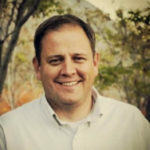 Ed is VP of Strategic Relations and Deputy Chief Genealogical Officer at FamilySearch. A board member at FGS and other non- and for-profit institutions, he presents globally, training boards and coaching executives. He researches genealogy primarily in the Southern US. Peter Drinkwater has been working on genealogy websites for the past 18 years and is currently the general manager of Find A Grave. 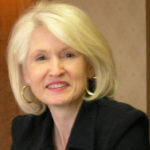 Debra M. Dudek is Head of Adult and Teen Services at the Fountaindale Public Library District in Bolingbrook, Illinois. 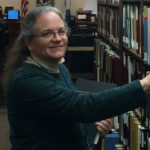 Elizabeth J. Ernst, MLS, is the Catalog Librarian at the DAR Library in Washington, DC. She received her BA in history from James Madison University, and her MLS from the University of Maryland. She also has been an avid genealogist since the age of 11. 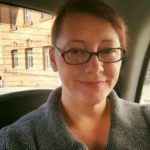 Teri E. Flack, is a genealogy and historical researcher and lecturer; chair, TxSGS RPAC; former officer, FGS; national co-chair, FGS 2014 Conference; member, Texas State Historical Resource Advisory Board; and volunteer archivist, Texas State Archives. Daniel is the Project Manager for the General Land Office Records Automation System, a project to digitize the original GLO survey and land conveyance records. These records date back to the establishment of the Public Land Survey System in 1785 and are the basis for the boundaries and land status in the 30 PLSS states in the West. The records are served to the public online and are digitally archived for long term preservation. 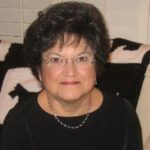 Currently serving as president of the Association of Professional Genealogists, Billie has served the genealogical community in many capacities including president of Genealogical Speakers Guild and Oklahoma Genealogical Society. 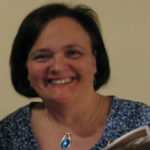 She lectures and teaches on a wide range of genealogical topics. Lindsay Fulton joined NEHGS in 2012, first a member of the Research Services team, and then a Genealogist in the Library. She has been the Director of Research Services since 2016. In addition to helping constituents with their research, Lindsay has also authored Portable Genealogists on the topics of Applying to Lineage Societies and the United States Federal Census. She received an MA from the University of Massachusetts-Boston. 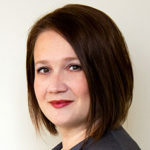 Brooke Schreier Ganz is the founder and president of Reclaim The Records, a non-profit organization of genealogists, historians, and journalists that uses Freedom of Information laws to acquire and freely publish previously-unavailable genealogical records from government agencies, archives, and libraries. 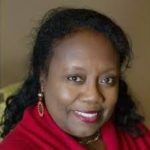 Board-certified since 2015, LaBrenda Garrett-Nelson was elected as a trustee of the Board for Certification of Genealogists (BCG) in 2016. She enjoyed a 35-year career as a tax lawyer, and is now a full-time genealogist focused on teaching and writing. Colleen Greene, MLIS, is an academic librarian, web developer, and college educator with 22 years of genealogy experience. Her teaching focuses on methodology; Mexican and Hispanic research; emerging technologies; repositories and archives; and society marketing and communications. 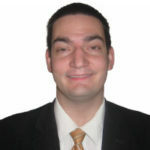 Kenneth W. Heger, PhD is on the faculty of the University of Maryland’s College of Information Studies. Previously, he worked at the National Archives and Records Administration for 32 years. He is president of the Mid-Atlantic Germanic Society. 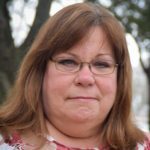 Specializing in Maryland and German research, Debra A. Hoffman is a professional genealogist and owner of Hoffman Genealogical Services. She earned a certificate in Family History from BYU. 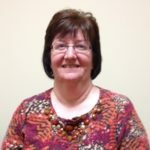 Debra is the Assistant Director of the Genealogical Institute on Federal Records. 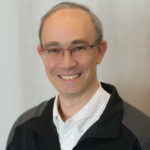 As genealogy expert at MyHeritage, he provides key contributions, liaising with genealogy societies, bloggers, and media, as well as lecturing around the world. 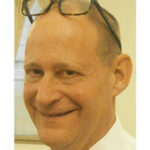 Dedicated to genealogy since 1986, Daniel holds a board-level position at the Israel Genealogy Research Association (IGRA). A Library of Congress employee for nearly 30 years, Ahmed works in the Local History and Genealogy reading room as Reference Librarian and African American Genealogy Specialist. 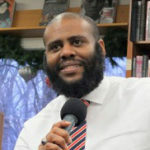 He has lectured at national, state, and local conferences promoting the collections and services available at the Library of Congress, including African American genealogical sources. 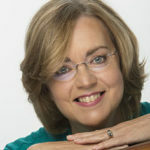 Karen Mauer Jones, CG, FGBS, FUGA, is an author, lecturer, professional genealogist, and former editor of The NYG&B Record. She served on boards of APG (as Regional VP and Director) and FGS (as Director; VP Administration; National Conference Chair, 1997 Dallas). 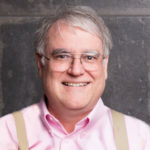 Tom is an award-winning author, editor, educator, and researcher focusing on methods for challenging genealogical problems. 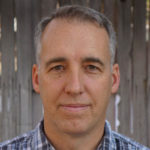 He coordinates courses at GRIP, IGHR, and SLIG, and speaks often for local, state, and national genealogical societies. He co-edited NGSQ in 2003-18. 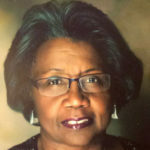 Violetta Sharps Jones is a local historian, genealogist, and board member for the Lakeland Community Heritage Project (LCHP) in College Park, Maryland. She is one of the authors of Lakeland: African Americans in College Park and has ancestral ties in the area going back several generations. Claire Kluskens, a National Archives and Records Administration staff member since 1992, is a senior projects and reference archivist specializing in records of high genealogical value. She manages digital imaging projects and completed over 330 NARA microfilm publications. 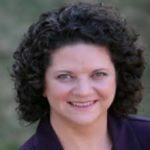 Rebecca Whitman Koford holds credentials as a Certified Genealogist and as a Certified Genealogical Lecturer. Her focuses are Maryland and military records at the National Archives. 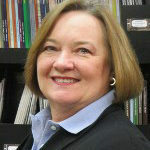 She is the Executive Director of the Board for Certification of Genealogists. 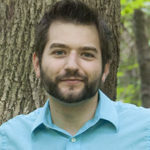 A self-described “all-American mutt,” Dr. Lacopo’s research skills cover a broad range of topics with a focus on genetic genealogy, social history, German and Swiss research, especially as it pertains to the eighteenth-century emigration to Pennsylvania, and more. David is the Chief Genealogist of NEHGS in Boston. He is an international speaker, author, and blogger. 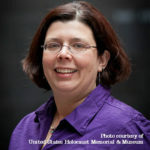 Megan Lewis started working at the United States Holocaust Memorial Museum in 1998. She spent 12 years conducting research on individuals working for the Museum’s Holocaust Survivors and Victims Resource Center. In 2010 she moved to the Museum’s Library and Archives as a reference librarian. She has a BA in history, a Masters of Library Science and completed a post-masters certificate in the curation and management of digital assets. 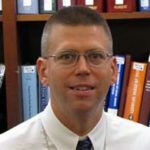 former president of NGS and VGS, former Virginia track course coordinator at IGHR and SLIG, is editor of the NGS Research in the States series and the quarterly Magazine of Virginia Genealogy and a Library of Virginia board member. After a few years of teaching medieval art, she turned to genealogy. The focus of her own family research is in New England, England, and Germany. Her husband’s family history took her to the West Coast, Hawaii, and to a long project on the records of the Japanese-American internment held at the National Archives. She is a member of several societies, lectures locally, and works as a genealogist at the NSDAR. 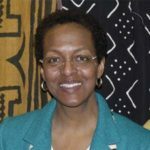 Janice Lovelace, PhD, a genealogical researcher and lecturer, is an instructor at the Midwest African American Genealogical Institute (MAAGI) and author of the National Genealogical Society’s online continuing education course African American Roots: A Historical Perspective. Annette Burke Lyttle speaks on genealogical topics at the national, state, and local levels. She loves helping people uncover and share their family stories. Annette is a member of the Association of Professional Genealogists. She has pursued genealogical education at SLIG and GRIP and is a ProGen grad. Mary is the Maryland Room Manager at Frederick County Public Libraries in Maryland. She regularly presents on a variety of genealogy topics to both information professionals and the general public. Presently, she is a genealogy instructor at Frederick Community College. 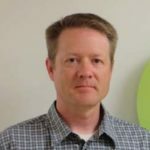 Mike Mansfield is the Director of Content Operations at MyHeritage. 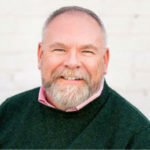 Previously Mike worked for Ancestry.com and FamilySearch and has been professionally active in the genealogy and family history domain for the last 20 years. 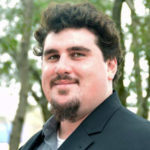 He holds undergraduate and graduate degrees in Computer Science and Library and Information Science. 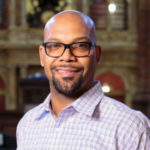 Lopez Matthews is the Digital Production Librarian for the Moorland-Spingarn Research Center and the Howard University Libraries. 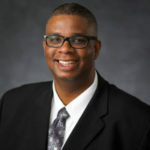 He is also an adjunct professor at Bowie State University and Coppin State University. 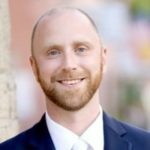 A frequent lecturer at national conferences and institutes, Dave’s primary research focus is on immigration and church records, with strong interest in the Midwest. Angela Packer McGhie, CG is a course coordinator at IGHR and SLIG, and instructor at GRIP and Gen-Fed. She serves as a trustee for the BCG and the BCG Education Fund, and on the board of the ProGen Study Program. 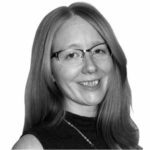 Mary McKee has worked at Findmypast as a data content specialist since 2014. During that time, she has presented lectures and talks at a variety of history and genealogy conferences. She has a passion for history and research, particularly Irish Women’s History. 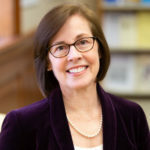 Sue Miller is the New York Genealogical and Biographical Society’s Director of Programs; editor of the New York Researcher; a managing editor of the New York Family History Research Guide and Gazetteer; and a national and regional genealogical-program presenter. 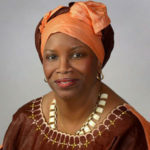 Elizabeth Shown Mills, CG, CGL, FASG, FNGS, FUGA, has reconstructed the lives of poor, black, and elusive women for four decades—creating innovative strategies to prove identity and kinships. Her publications include Forgotten People: Cane River’s Creoles, the lead chapter of Louisiana Women, Evidence Explained, and Isle of Canes. 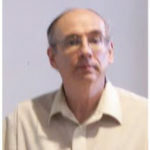 Paul Milner, a native of northern England is a professional genealogist and international lecturer. 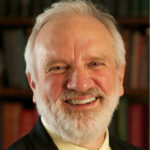 He has taught week-long English and Scottish research tracks at IGHR, SLIG, and the British Institute. 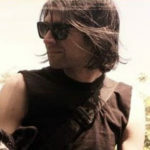 He is the author of six publications. 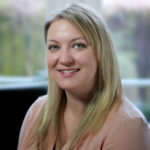 Anne is a Product Manager at Ancestry working on Ancestry Library, K12, and RootsWeb. She has been a faculty member at SLIG and TIGR. 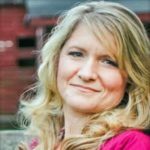 She has lectured for more than a decade on genealogy topics focusing on southern research, Civil War, cluster genealogy, and online search techniques. 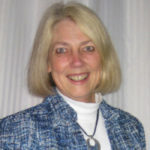 Anne has developed multiple courses for Ancestry Academy and written and produced many of the short videos on the site. 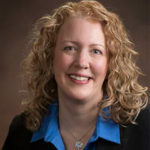 Jill Morelli, CG, lectures, writes and takes clients, focusing on her Midwestern, German, and Scandinavian research. She began an online course demystifying the portfolio process for all who are interested in obtaining certification. She is president of the Seattle GS. James R. Morgan III is a graduate of the Howard University in Washington, DC, where he obtained a Bachelor of Arts Degree in Communications and African American History in 2011. He has a vast knowledge of African American fraternalism and is the Grand Historian of the Prince Hall Masons of Washington, DC. 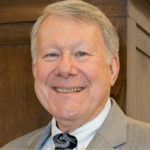 Fred is legal advisor for FGS, represents FGS on RPAC, is a former law school associate dean, and Colonel (retired) Judge Advocate General Corps. 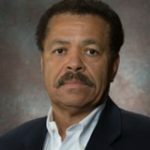 Ric Murphy is currently the National Vice President for History for the Afro-American Historical and Genealogical Society. As an educator, historian, much sought after speaker, and award-winning author, he focuses on African American history and topics, with a focus on the Commemoration of the first documented Africans in English North America. Linda Harms Okazaki currently serves as past president of the California Genealogical Society. 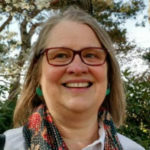 An active member of the genealogical community in California and beyond, she is passionate about teaching people of all ages and ethnicities to research their family histories. 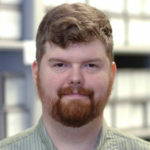 Nathaniel Patch is an archivist in the Reference Branch at the National Archives at College Park, Maryland, where he is on the Navy and Marine Corps Reference Team. He has a BA in history and an MA degree in naval history with an emphasis on submarine warfare. 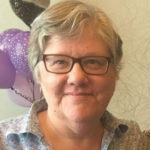 Eileen Curley Pironti, Genealogist of the Newbury Street Press at NEHGS, has lectured at NEHGS events in the New England area and Belfast, Northern Ireland, and has written several magazine articles pertaining to Irish history and research. Robert is a FamilySearch deputy CGO, and a former director of the National Genealogical Society. He is a popular speaker and writer. 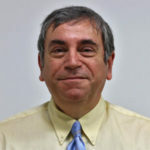 Robert is a genealogical technologist with nearly 40 years of experience in technology and genealogy. 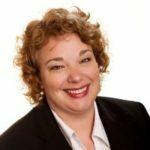 Lisa Reed is an accomplished genealogist who gives presentations to help YOU! She is a doctoral student at TAMU-Commerce, interpreting public history. Lisa has presented genealogy lectures in New England, Arkansas, and Texas. She also is pursuing BCG Certification. 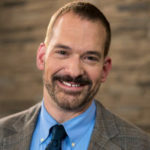 Thom Reed is a Deputy Chief Genealogical Officer for FamilySearch International. 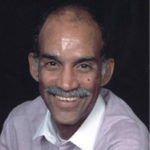 His area of emphasis is African American records, research, and experiences. 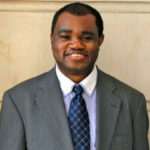 He also manages relationships with community, genealogical and historical organizations for people of African descent. Prior to working for FamilySearch, Reed spent more than 10 years as a marketing, communications, and business development professional in the consumer-packaged goods, healthcare and technology industries. 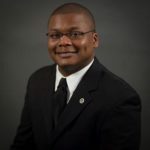 He currently serves on the national Board of the Afro-American Historical and Genealogical Society (AAHGS) as the Vice President for Genealogy. 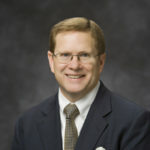 David E. Rencher, AG, CG, FIGRS, FUGA, is employed as the Director of the Family History Library and Chief Genealogical Officer for FamilySearch. He is past-president of the Federation of Genealogical Societies (1997-2000) and currently serves as Vice-President of Development for FGS. 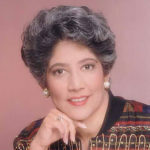 Professional genealogist, author, and lecturer, she targets on tools, tips, and techniques for effective genealogy research; focuses on southern and African-American records and associated migration paths; has authored over 300+ articles for international genealogy magazines; is a genealogy journal editor, and a member of APG and GSG. Research and Reference Specialist, Survivors and Victims Resource Center, United States Holocaust Memorial Museum. 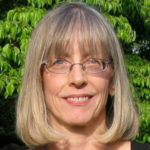 Jane Neff Rollins is a professional genealogist with www.sherlockcombsgenealogy.com who specializes in ancestors from the former Russian Empire. An alumna of SLIG and ProGen, Jane speaks at regional, national and international conferences. Her writing has appeared in Crossroads and Roots-Key. 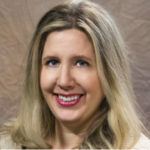 Malissa Ruffner, JD, MLS, CG, has been the director of the Genealogical Institute on Federal Records (Gen-Fed) since 2015, and was the editor of the Maryland Genealogical Society Journal from 2017 to 2019. She has worked for the Georgetown Memory Project since 2016. 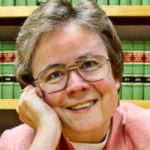 Judy G. Russell, JD, CG, CGL, is a genealogist with a law degree who provides expert guidance through the murky territory where law, history, and genealogy come together. 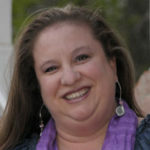 Her award winning blog The Legal Genealogist is at http://www.legalgenealogist.com. 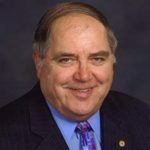 President of BCG, his expertise includes records of the National Archives, Irish research, land records, government documents, federal land law, military records, and urban research. Rick coordinates and teaches in advanced courses at SLIG, GEN-FED, and GRIP. Julie Schablitsky, PhD, is the Maryland Department of Transportation’s chief archaeologist and leads their Cultural Resources Section. 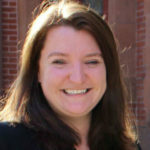 She also holds adjunct research positions with the University of Maryland and University of Oregon. Dr. Schablitsky specializes in the archaeology of transportation landscapes and African America. 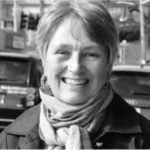 She has edited and authored many books, reports, and publications on her research, including: the Donner Party; War of 1812; John Paul Jones’ birthplace in Scotland; African American archaeology; archaeology and the media; and the DNA analysis of artifacts. Certified Genealogist specializing in Pennsylvania research. Course coordinator and faculty member at IGHR and SLIG; faculty member at GRIP. 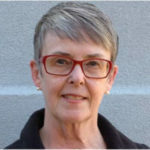 Marian Smith recently retired after thirty years as an Historian for the Immigration and Naturalization Service (INS) and US Citizenship and Immigration Services (USCIS). 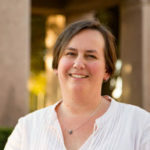 She is an expert of United States immigration and nationality records whose presentations encourage genealogical researchers to explore lesser-known records at the National Archives. 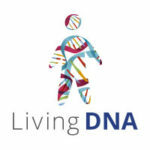 Eighteen years in genetic genealogy has qualified Diahan Southard to instruct all levels of interest and her upbeat plain-English style will leave you motivated and encouraged. 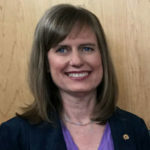 Karen Stanbary, CG, lectures nationally on using DNA test results for genealogical problem-solving, always within the framework of the Genealogical Proof Standard. She is a Trustee for the Board for Certification of Genealogists and chairs that organization’s DNA committee. James Sweany has worked at the Library of Congress for almost 30 years. He has been responsible for developing the Library’s American Indian collections, particularly Native genealogical resources as head of the Local History & Genealogy Reference Services. 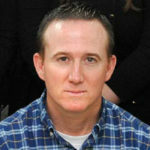 Presently James is Assistant Chief of the Researcher and Reference Services Division. 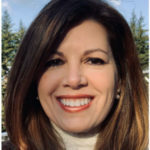 Juliana has been working for Ancestry for more than 20 years and holds a certificate from Boston University’s Online Genealogical Research Program. 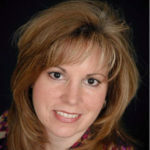 Cari A. Taplin, CG, is a native of Wood County and now Pflugerville, Texas. Cari is the Vice President of Membership for the Federation of Genealogical Societies. As the owner of GenealogyPANTS, she provides speaking, research, and consultation services. 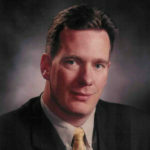 D. Joshua Taylor, President of NYG&B and Past President, FGS. Maureen Taylor, The Photo Detective, helps people rediscover their family history one picture at a time, and is passionate about getting folks to tell the story of their ancestors. Listen to her podcast, The Photo Detective on iTunes and Facebook. 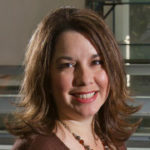 Lori Thornton is a librarian and professional genealogist specializing in Southern States and religious records. She authored Research in Mississippi in the National Genealogical Society’s Research in the States series. 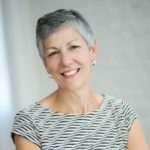 Claire Vail has served as the Director of Creative and Digital Strategy for New England Historic Genealogical Society for four years. 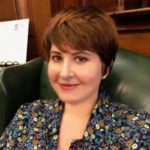 She has managed multiple digital projects for American Ancestors in that time, the latest of which is the GU272 website. Rich Venezia is a genealogical researcher, lecturer, and writer. 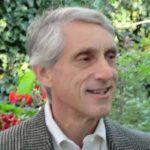 A veteran of the Genealogy Roadshow (PBS) research team, he spoke at TEDx Pittsburgh (2017) and lectures nationwide. He lives in Pittsburgh and specializes in twentieth-century immigration research and records. Beginning as an Archives Technician with the Still Picture Branch in July 2000 after studying history at Salisbury University, Billy has held four different positions within Still Pictures: Military Photography Specialist, Archivist in 2005, Subject Matter Expert Archivist, and Supervisory Archivist since 2016. 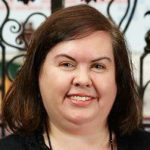 Angela Walton-Raji is nationally known as an author, genealogist, podcaster, and blogger. She hosts the weekly African Roots Podcast (africanrootspodcast.com) which is devoted to African American family history. She is also one of the founding members of AfriGeneas.com. Donna is an experienced researcher and public speaker, currently specializing in the history of the US Lifesaving Service Surfmen. Also an avid traveler, she has combined her love of genealogy and passion for helping others by offering personalized research-trip planning. Frederick plans and executes all NYG&B digital engagement—including email newsletters, blog articles, social media, and video content—and directs the web development of all of the society’s digital resources, including the eLibrary. 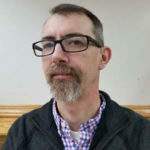 Frederick has worked in digital media and web development for the past eight years, with a variety of non-profit and commercial entities, both inside and outside the genealogy industry. 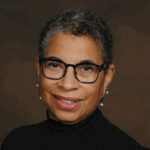 Linda Crichlow White, native Washingtonian, attended West Virginia State College, BS; Howard University, MS; and Catholic University, earning a Masters in Library Science. 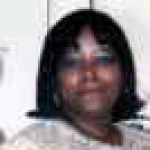 She served as School Library Media Specialist in Montgomery County, MD. In retirement, she has worked on family history, using documents and images that she found in the homes of her mother and aunts. She speaks about local history and genealogy and volunteers at the National Museum of African American History and Culture—where there are some family objects on display. 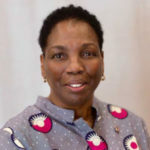 Since January 2019, she has been president of the Afro-American Historical and Genealogical Society, James Dent Walker Chapter, in Washington, DC. 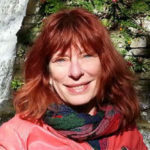 Deborah Wilbrink, BJ has ghostwritten or edited over 25 published personal memoirs or family histories for families, with a focus on writing entertaining as well as factual family history. A popular presenter in the Nashville TN area. 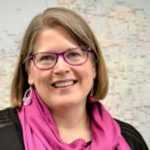 Katherine is an engaging and dynamic genealogy lecturer at local, regional, and national events; has taught all levels of genealogy classes in Michigan since 2001; and is a professional researcher for clients. 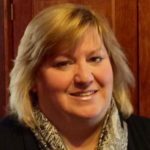 She’s the president of the Virtual Genealogical Society and Michigan Genealogical Council, and is a director for the Association of Professional Genealogists. 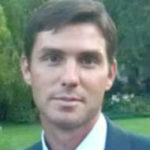 Zack Wilske is the Senior Historian for US Citizenship and Immigration Services (USCIS). 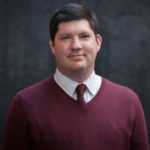 His research interests include the history of the Immigration and Naturalization Service (INS), the development of federal immigration and nationality policies, and the uses of INS records for historians and genealogists. 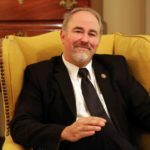 He speaks regularly at genealogy and academic conferences, has published articles on researching with INS records, and has served as the President of the Society for History in Federal Government (SHFG).